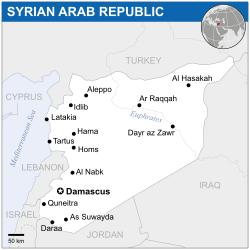 ↑ "Constitution of Syria 2012". Scribd.com. 15 February 2012. Retrieved 25 January 2013. 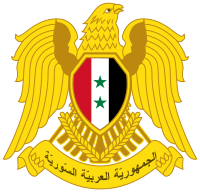 ↑ "Syrian ministry of foreign affairs". ↑ "The World Factbook". Cia.gov. Retrieved 2014-07-24. ↑ 4.0 4.1 4.2 4.3 "Syria". International Monetary Fund. Retrieved 22 April 2012. ↑ "2014 Human Development Report Summary" (PDF). United Nations Development Programme. 2014. pp. 21–25. Retrieved 25 September 2014.